In March and April, the Sariev Gallery of Plovdiv will unveil a solo exhibition by the Spanish-born, Berlin-based artist Ignacio Uriarte. Uriarte will be in Plovdiv and Sofia to meet and talk with his audiences. Here is what Frieze, the leading magazine for contemporary art and culture, has to say about Uriarte’s exhibition The History of the Typewriter recited by Michael Winslow (Nogueras Blanchard Gallery, Barcelona, 2010): „The Spanish artist has employed standard office supplies such as biros, highlighters and jotters, for example, to create his monochrome series, animations and paper constructions. The ubiquitous spreadsheet tool Microsoft Excel, perhaps soon facing its own obsolescence, has been used to create a number of digital prints. Such works oscillate between bureaucratic delight, the futility of the nine-to-five grind and the serial work of Sol LeWitt”. 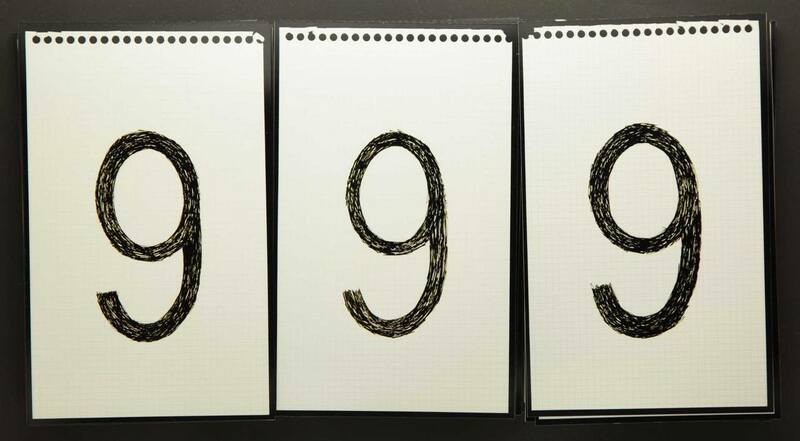 The exhibition Letters and Numbers by Ignacio Uriarte at the Sariev Gallery of Plovdiv offers an analysis of the two types of sign systems – the alphabetical and the digital – ordinarily used in offices around the world. 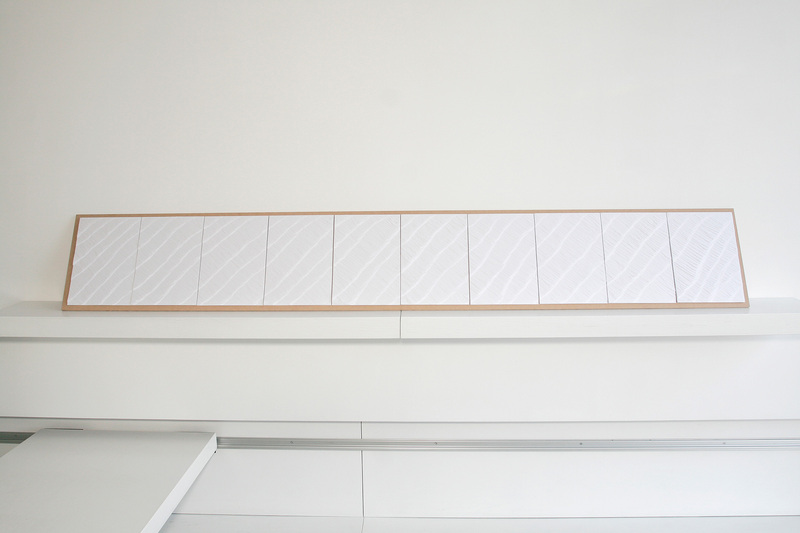 The works examine the presence and absence of both systems in space (A4 sheets) and time (60/1). Space and time are the subject of analysis, too, their function as media and markers distorted. During the exhibition, the Sariev Gallery will host the premiere of Uriarte’s video animation Arabic Numerals (10:00, 2011), in which the mathematical processes of addition and subtraction are represented with Arabic numerals. 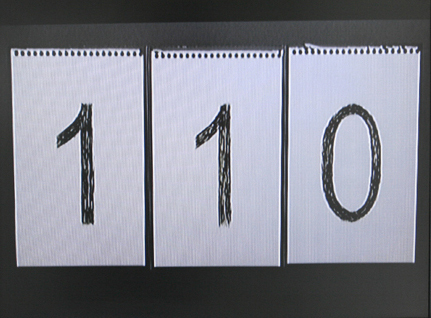 A second theme in the video is time – measured not with the conventional system in which 60 seconds equal a minute, but with one in which 1000 seconds equal 10 minutes. The numerals are hand-drawn and based on the Helvetica font. The fonts installed in 90% of MACs and PCs worldwide as of June 2010 are seven prints on Hahnemühle Photorag paper which take their inspiration from the seven most popular fonts for MAC and PC as of June 2010. The artist reveals the character of each font, by arranging the letters from each of the seven fonts in mantra-like compositions. The work was shown at the Perth Institute for Contemporary Art in Australia. Office paper is another theme in the exhibition Letters and Numbers and is used by Uriarte as a sculptural medium in the installation Copied Document and the décollage Blocs. Copied Document puts a digital phenomenon back in the physical world, where it once belonged. The work borrows the pattern in which windows stack on top of each other on a computer screen to allow us to see them all at the same time. Copied Document makes ironic comments about the words “desktop” and “wallpaper”. It was shown at the i8 Gallery in Island. 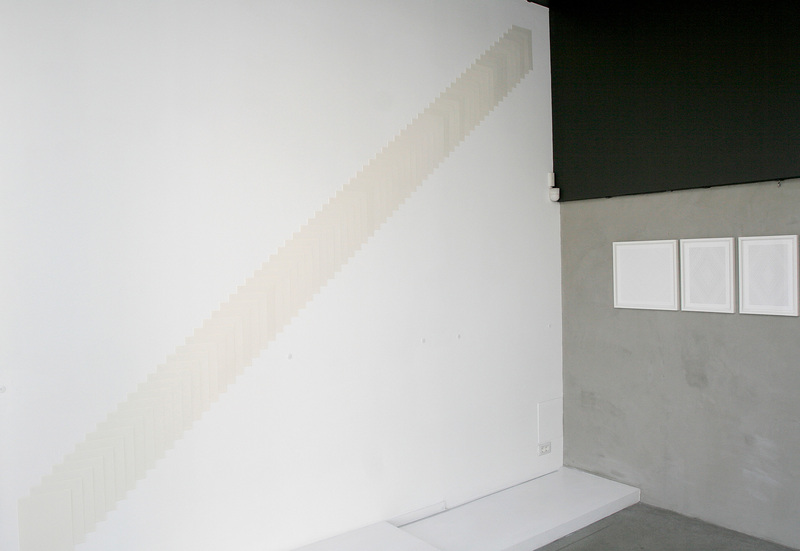 The installation Blocs is a décollage in which 13 note blocs have been ripped apart. 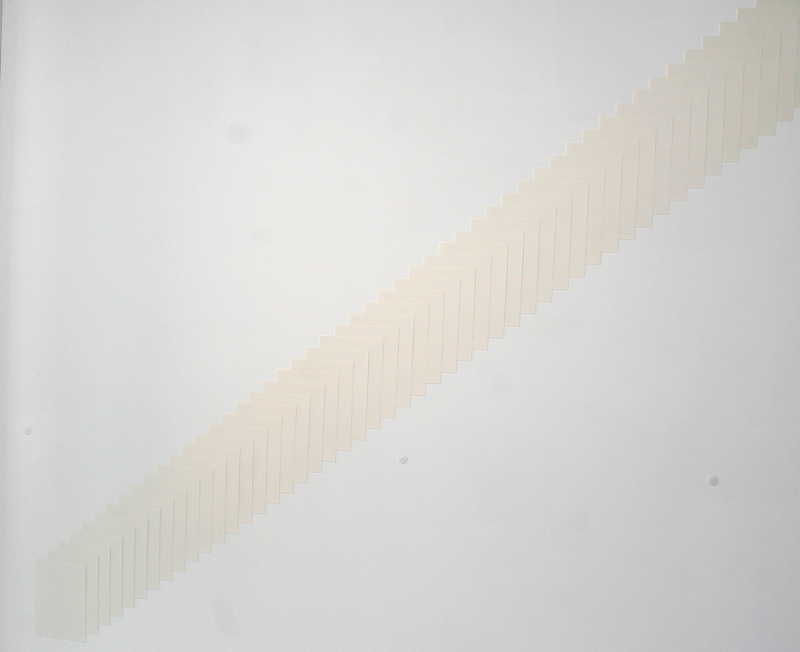 The note blocs are arranged in a row, with the lines of the ripping going from one block to the next. 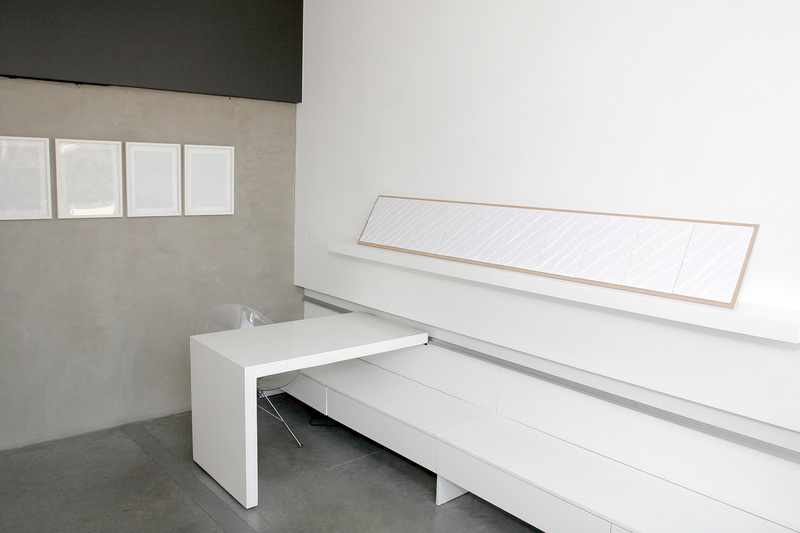 The installation was shown at the Vierter Stock space for projects in Berlin and the art-o-rama in Marseille. 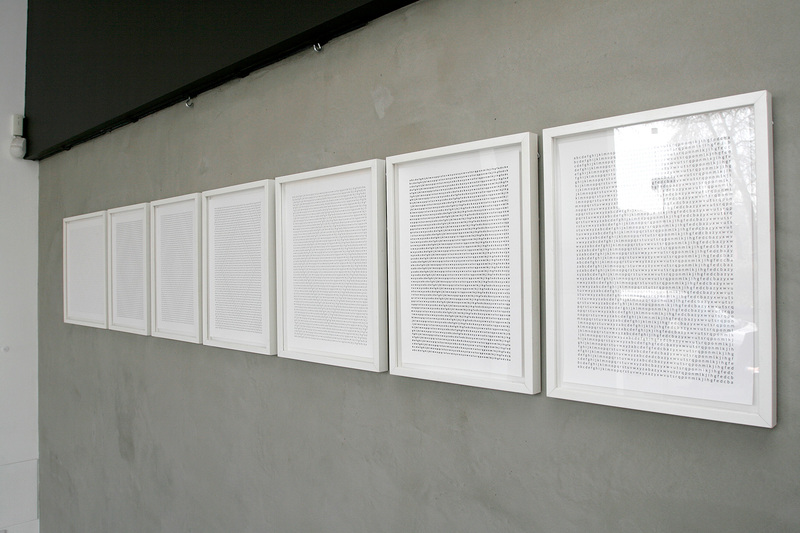 The only “real” drawing in the exhibition Letters and Numbers by Ignacio Uriarte is a frame drawn on an empty sheet of paper – a play on the interconnectedness of the 2D and 3D worlds, the real and the imaginary document. A work that might well be the key to the whole exhibition. IGNACIO URIARTE was born in 1972 in Krefeld, Germany. From 1992 to 1997, he studied business administration in Madrid and Manheim. Between 1997 and 2002 he worked for corporations such as Siemens, Canon, Interlub and Agilent Technologies in Germany, Spain and Mexico. Parallel to his administrative work, he also studied audiovisual arts in the Centro de Artes Audiovisuales in Guadalajara, Mexico. Since 2003, he has devoted himself to what he calls „office art”. He lives and works in Berlin, since 2007. 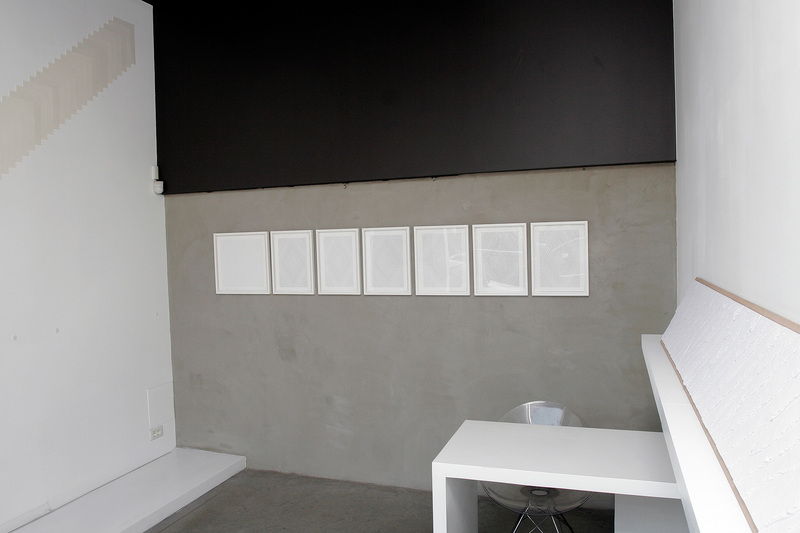 In 2011, his exhibition The History of the Typewriter recited by Michael Winslow (Nogueras Blanchard Gallery, Barcelona, 2010) won the GAC Award for best exhibition. He is also the recipient of the Crazy Curators Award from the Bratislava Biennial and the “Born 2”, International Art Award of the Galería Casaborne of Antequera, Spain. 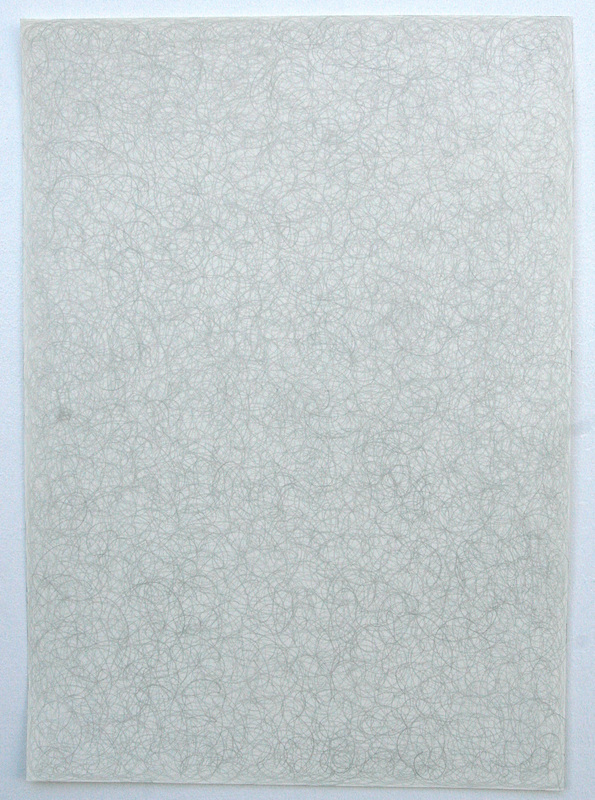 Ignacio Uriarte’s work has been shown at the Vierter Stock, the Temporäre Kunsthalle Berlin, the Feinkost Gallery and the Kunstverein Arnsberg in Germany; the Perth Institute of Contemporary Arts and the General Store for Contemporary Art in Australia; the Proje4L / Museum of Contemporary Art in Istanbul; the Hangar and Nogueras Blanchard Galleries in Barcelona; as well as in France, Great Britain, Ireland, Italy, Mexico, Argentina, the United States, Japan and Singapore. Full artist CV in the attached file.